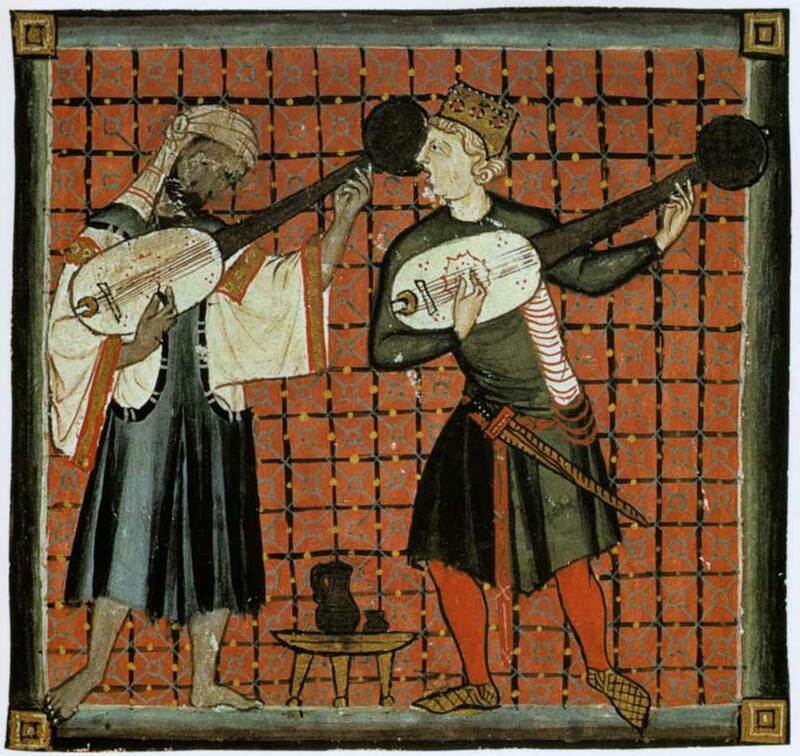 A Muslim plays the ud while the Christian plays the lute. From a Book of Chants from San Lorenzo de El Escorial monastery in Madrid, Spain. 13th century. Published in The Cambridge Illustrated History of the Islamic World edited by Francis Robinson. 1996. This entry was posted in image research and tagged christianity, illumination, islam, music. Bookmark the permalink. We could use a few more jam sessions like that.